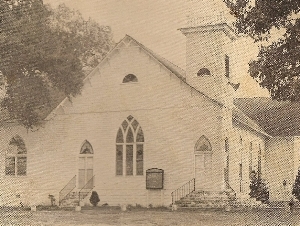 The Zion Baptist Church, Tucker Hill, Virginia, was organized in the year 1867 with about 40 members who had formerly worshipped in the Sandy Valley Baptist Church (white), Machodoc, Virginia. The first place of worship was a Dogwood Bush arbor on the Gawn's farm near Tucker Hill, Virginia. Near this site a log cabin building was constructed in the year 1867. To accommodate the growing membership, a larger building of a different model was built in the year 1873, again in 1893 and again in 1932 under the administration of pastor, Reverend W. E. Taylor. An overflow section was added in 1959 and an education Fellowship Hall was added in the year 1965.